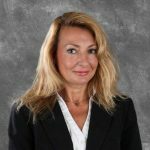 Tanja Lewit- is founding member of PC&S Inc, a company that manufactures and Supplies Electrical Equipment for the Measurement and Control of Power. Tanja served as a Principal since 1992. Under her leadership the company has seen consistent, profitable and sustainable growth by specializing in Power Measurement and AC and DC Control Systems. PC&S has partnered with customers to design, develop, manufacture and distribute Instrumentation Solutions for industries including US Military, Power Generation Manufacturers, Industrial Equipment, Transit Systems and Data Center Infrastructure. In 2010 Tanja has taken her passion for new technology – forming Alternate E Source ; a company providing solutions to the Data Center space. Converged Infrastructure and DR solutions, Virtual Cloud and Physical Server management, Data Center Power Management. Introduced in Oct 2013 – new product release and formation Kentix US: Environmental Monitoring and Physical Security for IT Server Rooms and Equipment protection, IoT technology that reports with phone app, for increased security of physical environment, power, network and more .